Photography. Sewing. Cooking. Quilting. Inspiration. This is a small book cover I made for a little Bible I have. The cover was badly worn but the size is nice and compact, perfect for taking to church and on trips. I put a little notebook in the outside pocket for taking notes or writing thoughts. This is the inside. I put in two pockets, one on each side for pencil, highlighter, bookmark, and whatever else I need. It was a fun and quick project. Have a wonderful weekend, everyone! This is such a good idea and you can put the type and size of pockets you need. Hi, Lillian. 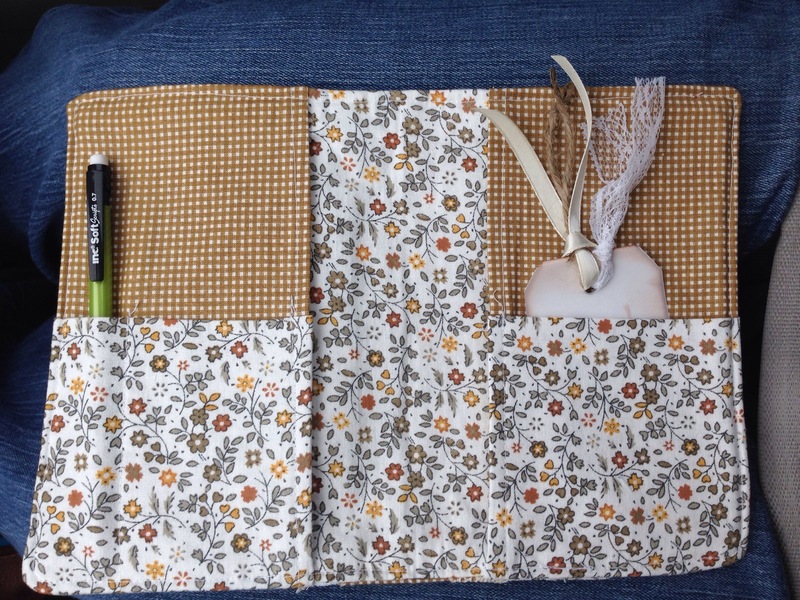 Yes, it’s fun to play with the sizes and shapes of different pockets. It’s also nice to add flaps, buttons, and other embellishments. Thank you for sharing your book cover with us! It is so lovely .. like you! You inspire me and keep me thinking. Some day I hope to create and sew again! I really wished that I had more talent in the sewing department. Everytime I pull out my sewing machine I feel like one of us is going to win and one of us is going to lose. Can you guess who usually loses? Yep, me – lol! I’d love to be able to make these lovely book covers. It’s beautiful! Well, from your blog, I can tell you sure don’t have to fight with your stove or oven… There’s always a great recipe you’re sharing with us! And don’t give up on sewing… I ripped out many stitches before I learned how to sew in a straight line! Daisy, this is adorable! 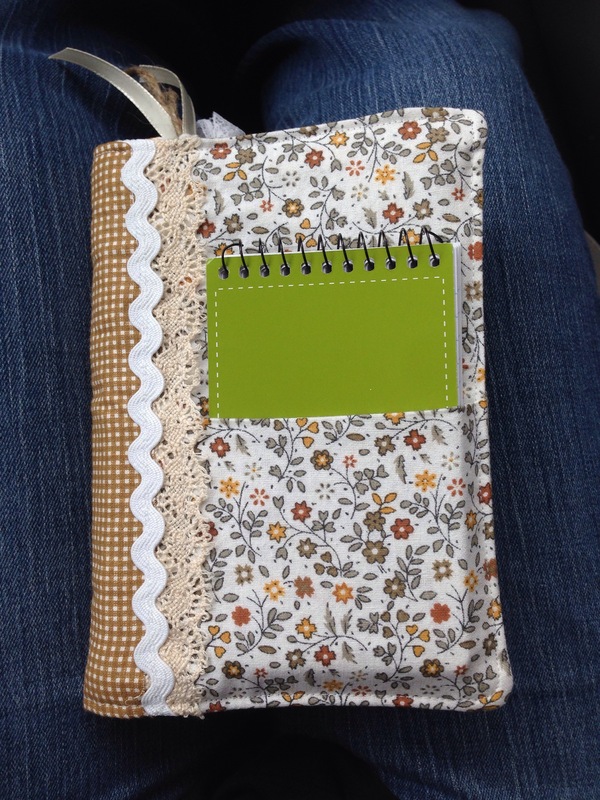 I love how you added a pocket for a notebook. Thanks 🙂 I enjoyed using it this weekend. It’s nice having the little notebook right there. So cute Daisy! I need to learn to manage my sewing machine! !